Until we actually see who picks whom on April 30, NFL Draft talk is nothing more than speculation. Speculation isn’t necessarily a bad thing, however. For some teams, speculation becomes accurate prediction. For the Washington Redskins, the stars have aligned for speculation about RGIII’s departure to become reality. Let’s look at the facts first. In the 2014-2015 season, Griffin went 2-5 as the Redskins’ starting quarterback. He threw two more picks than he did touchdowns (6 to 4) and serious questions about his mechanics were raised around the league and in-house. He got hurt again, which fueled the fire behind questions about his durability. 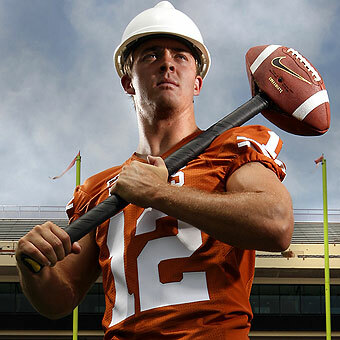 In a move suggesting a fundamental lack of faith in his ability as quarterback, he was benched for Colt McCoy. He showed some of the flare and ability from his rookie season in games against the Vikings, Giants, and Cowboys, but ultimately didn’t provide a large enough sample size to justify reliable conclusions, especially positive ones. All in all then, this past season was a flop. It gave no reason for anybody inside the Redskins’ organization to believe that RGIII is the answer going forward. Moreover, the general manager and coach now in Washington, Scot McCloughan and Jay Gruden, didn’t pick RGIII as their guy in the first place. Gruden was brought in to help Griffin recover his abilities as he had helped Andy Dalton improve. That mission seems to be quite risky, if it hasn’t failed already. A new GM usually indicates a change in organizational direction, and fans in Washington are clamoring for one. What is a very effective and direct way for teams to show their fans they are moving on to greener pastures? Making a move at quarterback. The unfortunate reality for the Redskins of course is that they sacrificed a lot to get Griffin. In this case, a lot means A LOT: three first round draft picks in as many years and a second rounder. This kind of cost stings, but given all that has happened with Griffin (and more importantly what hasn’t: winning), it would not be unreasonable for the Redskins to move on. Owner Dan Synder may still be holding out hope for Griffin, but when head coach and GM aren’t sold, success at the most important position is unlikely. A switch feels overdue, and this draft will likely give the Redskins the ability to make one. The latest mocks have Oregon QB and Heisman winner Marcus Mariota falling past the top four teams. At fifth, the Redskins have stated that they will draft the most talented player available, which would be Mariota. McCloughan called drafting Mariota a “definite consideration,” and the second most valuable quarterback in the draft is scheduled to visit and workout with Washington. These statements and workouts could all be a smokescreen from Washington to raise the value of their pick if Mariota falls. Trading this pick wouldn’t be such a bad idea to get more draft value to plug the roster’s smaller holes. It’s probable though that the Redskins find themselves able to move on from RGIII if they so desire. To say for certain whether or not they will might be a little too speculative at this point.